Today, I'm doing some sort of virtual review of my favorite brush line that I'm totally obsessed with. ZOEVA. I bought a couple of brushes from this line last year when Luxola had a flash sale. They always have flash sales so be sure to subscribe to their newsletter. If you guys don't know yet, I'm a crazy brush hoarder. I was intrigued to buy the NARS Ita brush when I saw my favorite beauty gurus like ShaaanXO, Jaclyn Hill and Casey Holmes used it. But somehow, the brush is sold out everywhere in The States and pretty sure that is not a good sign. Eventhough we have NARS counter in Malaysia, it is quite far from the place that I'm living. And to make it even more drama, due to the high demand of the NARS Ita brush in The States the price is increased drastically from $39 to $55. The fact that I have to pay $55 for a single brush or the cost is almost the same as my Naked 3 palette makes me sick and want to bluff. 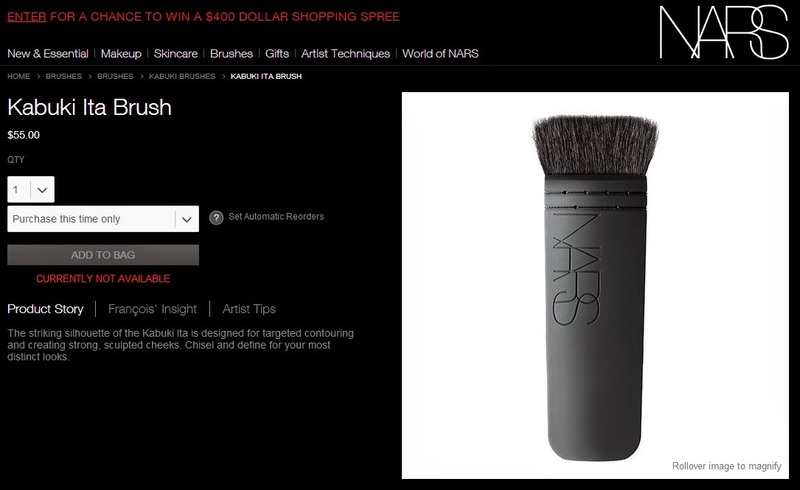 So I did some research and I finally found the dupe for NARS Ita brush! Yippie. I found ZOEVA Face Paint brush last year but it was already sold out. I waited for about 5 months for it to restocked and Beauty Fairy finally made my wish come true yesterday when I saw it on Luxola yesterday and I immediately grabbed my credit card and bought it. Some may say the NARS Ita brush looks funny but I must say it looks genius. I love that it does not look like any typical brush. It is unique and mystery to me. LOL. Whilst the ZOEVA Face Paint brush just look like regular brushes but only it has a flat dense bristles that gives you the almost identical contour effects like the NARS Ita brush. There is also a huge differences especially in pricing. NARS Ita brush will cost you $55 because NARS itself is a high end makeup line whilst the ZOEVA Face Paint brush is more to affordable makeup line. Get your hand to this baby real quick because ZOEVA brushes are often sold out in the website. 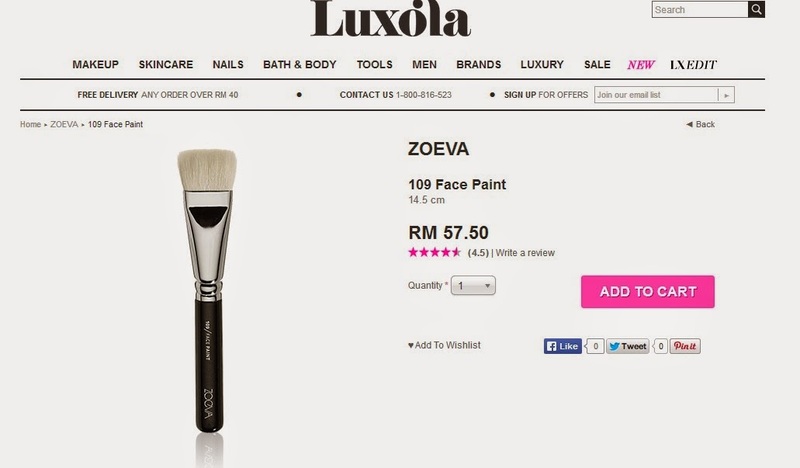 So if you are interested to try out ZOEVA brushes you can buy it from Luxola. They provide free shipping for order above RM40 which is awesome. I love this website and I bought my Beauty Blender, Sigma F80 as well as my ZOEVA brushes all the way from this website. Some may said that the price is a little bit expensive than other websites but I subscribe to their newsletter and they always have a flash sales up to 35%!! You can save a lot! I find that the ZOEVA one is a tad bit smaller but it provides the same function. Bronzing made easy gitu haha after I tried ZOEVA brushes rasa nak beli semua je cause its a lot cheaper than SIGMA and a lot of UK youtubers prefer ZOEVA more now.